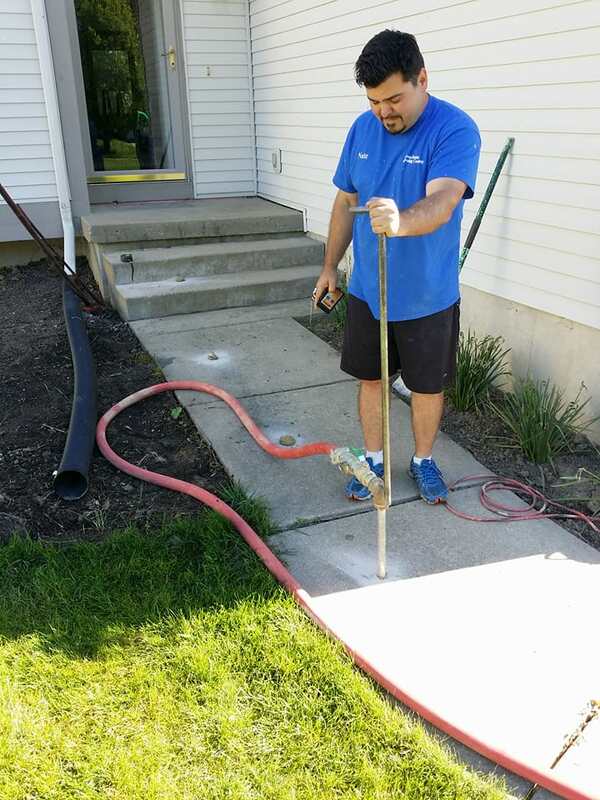 Since 1996, Concrete Raising and Leveling has been providing state of the art mud jacking and concrete repair services to Williamston Michigan. We provide concrete caulking and concrete leveling as well as Polyurethane Concrete Raising. At Concrete Raising and Leveling, we understand what’s needed to bring your home more curb appeal and to provide additional safety with peace of mind. If you are in the Williamston Michigan area, and need help, please call us today. The concrete raising / leveling process is safe, fast and clean. Slabs can typically be used the same day and cost close to half of a tear out and replacement project. We provide affordable concrete repair in Williamston Michigan and are family owned and operated. Our foundation is our principles of commitment, integrity, honesty and trust. Family is very important to us. With our services, most folks can save money and time. We believe that our customers deserve having extra income and time with their families. So grab a chair, have a seat, and let’s talk about how our family can help fill your concrete raising and leveling needs.